In 1912, Dr. Henry Forrest Libby created the Libby Museum in order to house his collection of specimens found in nature. He and his wife stuffed and mounted many of the animals and plants still present in the museum today, making them over 100 years old. Today, we continue his fascination of nature by creating environments in which adults and children can observe the natural wonders that surround us. One of these environments is our Butterfly Garden. This garden houses all the necessary plants for butterflies to survive on through its stages of life. Milkweed plants are used for multiple stages of the caterpillar life. For example, our monarch butterflies lay their eggs on the milkweed leaves. Then, the caterpillars hatch and feed on the milkweed until ready to make their chrysalis. We also house several other plants and flowers for our butterflies to feed on, like the coneflower, yarrow, aster, liatris, etc. These are called the nectar plants from which butterflies feed. Our garden blooms with the earliest spring bloomer being the clematis and brightly displays color throughout the summer months into the fall with the sedum and clethera ending the season of color. 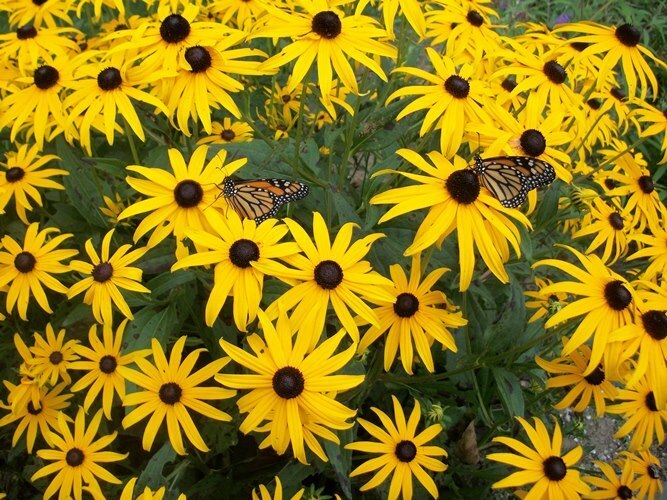 Black-eyed Susans provide nectar for traveling Monarch butterflies in this educational museum garden. 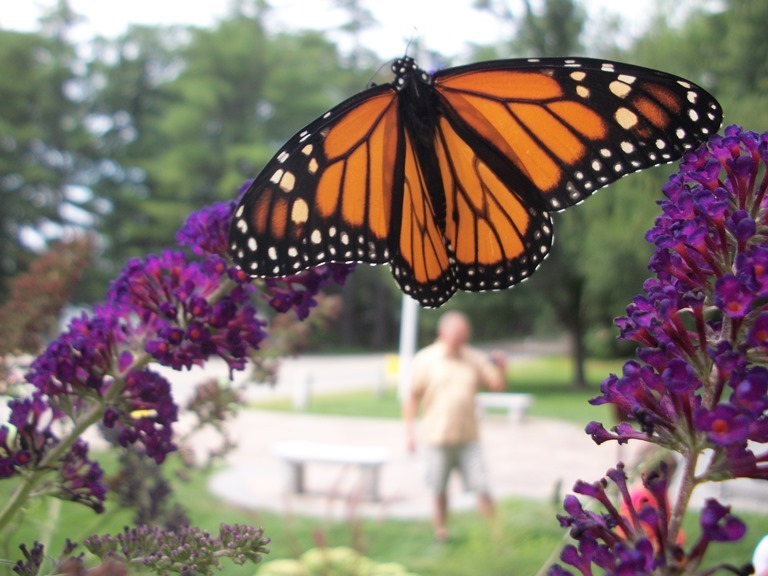 A Monarch butterfly visits the Butterfly Garden at the Libby Museum in Wolfboro, New Hampshire.